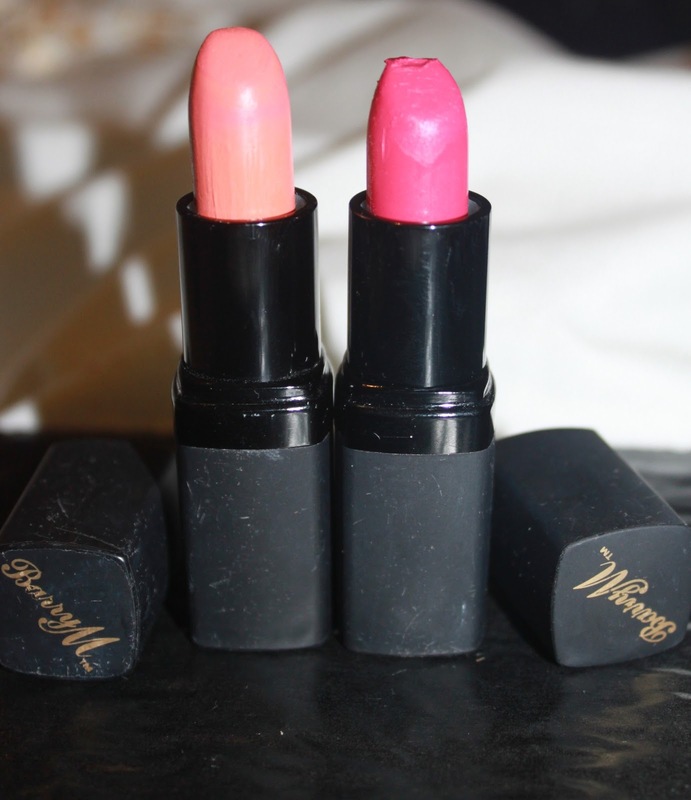 I've been using BarryM Lip Paints forever, and I just love them. I need more! 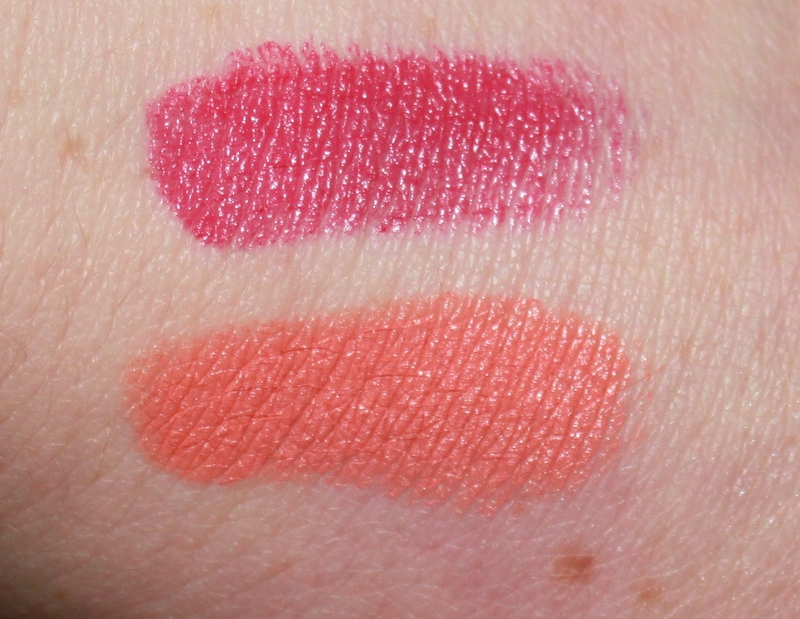 These two beauties I'm sharing with you are Peach and Punk Pink! They're both very bright and pigmented. I hope to grab a few more after the spending ban so I can show you how beautiful the other colours are. As you can see, they deliver so much colour. Punk Pink, the top one, is a deep fuchsia with red tones. I love wearing this colour. I don't wear it often as its very bright, but I still enjoy wearing it. Peach is a bright coral orange. This is another very bright colour and because of that I love wearing this in the summer! 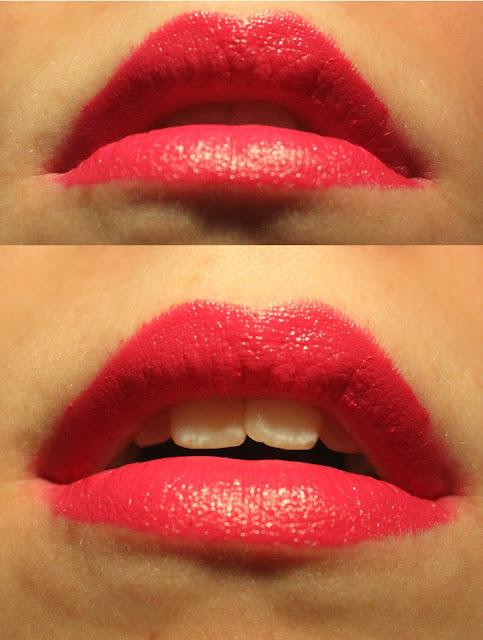 I found this one a little more dry on the lips, compared with Punk Pink which had more of a glossy finish. I felt that Peach came across more of a matte texture but still had some shine to it. This is Punk Pink. These pictures were taken with no flash. It's a gorgeous pink and really makes a statement. I loved the feel of this on my lips, but I was sad that it seemed to feather a lot. I think I need to buy a decent lip liner in this colour to keep this baby in place. This is Peach. I always thought that the colour peach would have more pink tones to it, but there's none! It's a solid orange. I LOVED how opaque this colour was. The colour pay off is amazing. The only down side I had was applying it. If it wasn't applied correctly, a lot of streaks were left on my lips. I had to go over it a few times to stop any streaking. It was a bit of a pain, but it still had a gorgeous pay off. Overall I love these lipsticks. They feel creamy and they're full of colour. 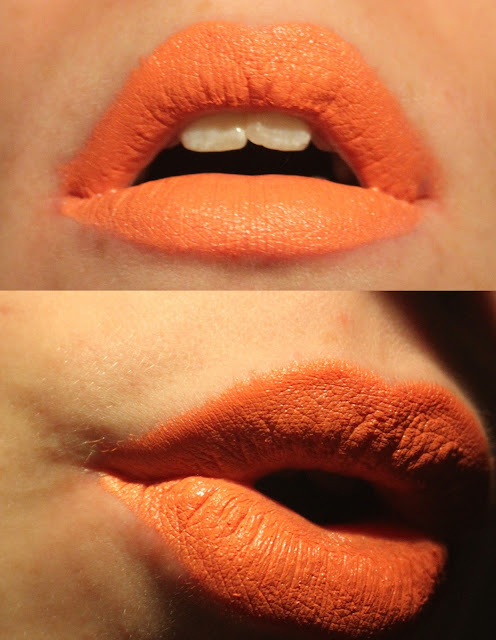 They both had different positives and negatives so I'm interested to try some more Lip Paint and see how they apply. Let me know in the comments what you think of BarryM Lip Paints! Thanks for reading! I really love the coral one, I dont own a coral yet! The coral one will be used so much in Spring! !